KAMPALA. 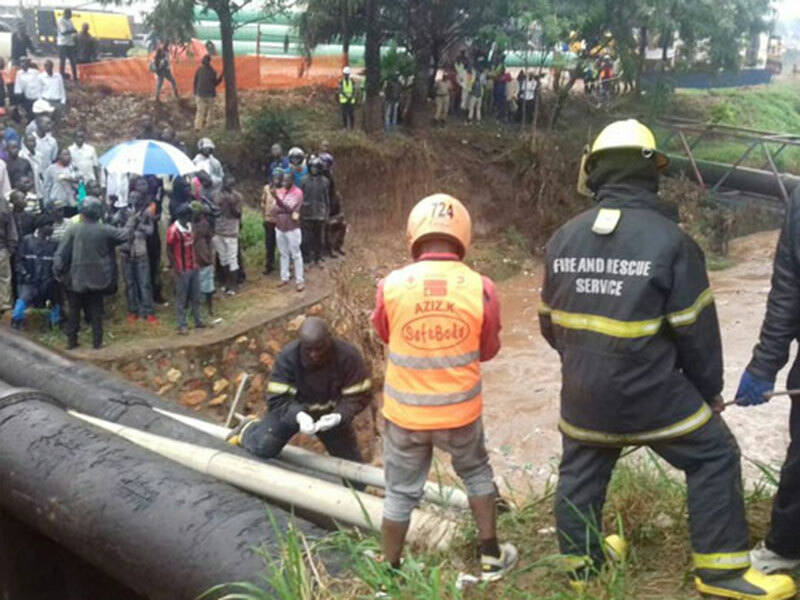 Police on Wednesday retrieved a body of a man from Nakivubo channel believed to have been killed and dumped in the sewer. The body of the unidentified man was spotted by boda boda operators around Sixth Street Industrial Area stage. It was suspended between the rocks and composite sewers in the drainage channel. It is suspected that the man could have been killed and his body dumped in the channel and was only washed that far by the afternoon downpower. The body was found in the area behind the Electoral Commission offices.